Are you compliant with GST? 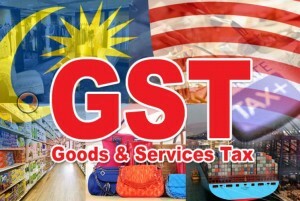 The GST is introduced as part of the Malaysian government’s effort to replace the current consumption tax to make the overall tax system more efficient. To be compliant with the tax law, proper and careful record-keeping is absolutely critical. But getting all the numbers right may be easier said than done. What does it mean to be efficiently compliant with the GST regulations? It means having clear visibility to the detailed breakdown of your business transactions. It means having to submit the GST returns by a stipulated deadline. It also means assisting with the auditing practice of the Royal Malaysian Customs Department (RMCD) to ensure proper filing and recording. And all these are extra effort required of your company. As an SME, you may have limited manpower and resources to handle the extra obligations. And the penalty of making a mistake is very costly. A GST compliant accounting system should be able to minimally allow you to set up tax code, document transactions taking into account tax complexities and make reports & claims on necessary tax items. If you are looking for an cost-effective solution that can handle the complex GST requirements for you and give you a peace of mind, allow us to introduce Kingdee to you. Is Kingdee software GST compliant? 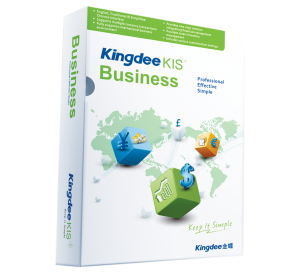 Kingdee is Asia’s top accounting software and has been serving the market since 1993. In China alone, it garnered the biggest market share for small and medium businesses for 7 consecutive years according to IDC. It was also crowned the top SME partner in 2013 in Hong Kong. If you are looking for a software solution that is tailored to the Asia market, Kingdee is no doubt your no.1 choice. Kingdee KIS Business Software is approved GST software by Royal Malaysian Customs Department (RMCD). Other Kingdee softwares like Kingdee K/3 ERP System and Kingdee K/3 Cloud are compliance with Malaysia GST. Kingdee solutions will definitely give you peace of mind for handling GST compliance. Our software is also easy to use. Your staff does not need to go through complicated training to operate the platform. The interface is user-friendly and intuitive. For example, it is not easy to remember all 24 tax codes recommended by the government, but our software makes it easy to match and reduces the chance of error. Moreover, there are about 900 categories of items which are zero rated, meaning they are exempted from GST. Our accounting software allows easy categorisation of products into the specific tax brackets. What if problems occur after implementation? After-sales support is of utmost importance to us. Our dedicated support staff is always there to help if you have any questions regarding the platform. It does not come as a surprise that our EPR system has become one of the most popular one in China, and your business could be the next to benefit. Don’t just take our word for it, try it out by yourself and see what it can do for you. Request for the free trial below. Download a copy of official GST e-book for your GST filing!